In its bid to flag off the new Intex ELYT-e1 after its Intex Aqua 4G Mini, the Indian smartphone manufacturer Intex has taken the decision to launch the ELYT series of which the first gem will be the Intex ELYT-e1. With an internal storage of 16GB, 8MP front camera and Android 6 Marshmallow, the smartphone is all set to become a top-notch one amidst the wide range of low-budget smartphones available in the market. It comes with 8MP primary camera along with an 8MP rear camera. 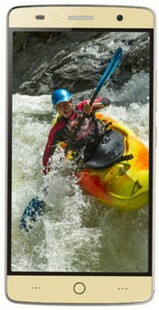 This smartphone has been designed to offer 16GB internal memory along with a microSD that can be expanded up to 128 GB. It features Android v6.0 Marshmallow which is comparatively lower than many phones available in this range. The battery capacity of this smartphone is only 2200mAh only and it can’t be removed as well. Designed to aesthetically please the user with its carefully crafted appearance, the Intex ELYT-e1 features 720X1280 pixels screen resolution that assists the user to watch newly launched movies or viral social media videos at the full resolution. The IPS LCD display coupled with capacitive touch screen comforts the user as they ensure better viewing and sensitive as well accurate touch display respectively. With the pixel density of 294 ppi, this smartphone has a 67.53% screen to body percentage. While the 8MP primary camera eliminates the need of carrying a camera everywhere, the 8MP selfie camera reveals the rejuvenating opportunity for the user to take spectacular selfies in front of stunning places. Allowing one to record videos as well, the smartphone has several other features like continuous shooting, and high dynamic range mode (HDR). Whereas, the primary camera features digital zoom, auto flash, face detection, so on and so forth. Providing the users with an enhanced internal storage of 16GB, the Intex ELYT-e1 also features 2GB RAM that paves the path for a smoother functioning of your phone. The beauty of this first model of the Intex ELYT series is that it has microSD slot that can be expanded up to 128 GB. The Li-ion battery present in this smartphone creates room for saving energy as the Li-ion discharges ion cells at a rate much lower than that of others. Though a 2200 mAh battery seems underpowered, the pros outweigh the cons. Carrying a power bank is recommended. Running on the sixth major version of the Android operating system i.e. Android Marshmallow 6, the smartphone has been designed to focus on overall user experience. A brand new power management is induced that has the capacity to reduce ongoing activities in the background when not in use. Having 2G/3G/4G/WiFi connectivity, this phone has dual sim and A-GPS connectivity. Planned to be made available in the low budget, this smartphone is an amalgam of the qualities necessary for a modern day smartphone. While the battery capacity or the processor of the phone might not be as good as other phones available in this price range, other features compensate that in an efficient manner. The Intex ELYT-e1 price in India is speculated to be INR 6990 and at this price, it competes with the Redmi 3s, Moto E3 Power and the all the Panasonic Eluga Ray. Intex ELYT-e1 full specs and reviews as of Apr 2019. Buy it here!